The charts aren’t full of artists from the Congo, but here’s one to get your ears round. 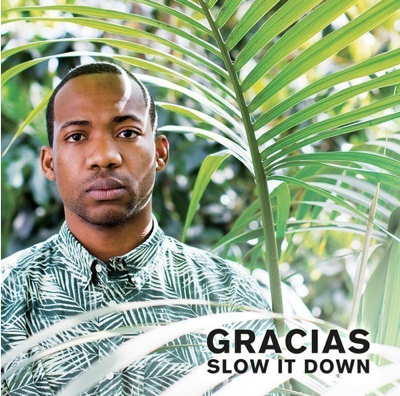 Congolese-Finnish rapper Gracias has released a new single, ‘Slow It Down’, via the Helsinki based label, Cocoa Music. Following the release of previous single ‘Levels (Stream Fast, Die Young)’, Gracias returns with this sultry slow jam, an accessible track with a future R&B sensibility that swells with intricate percussive layers, vocal distortions and spatial electronic soundscapes. Taken from his forthcoming album ‘Elengi’, his first full solo effort set for release this summer, ‘Slow It Down’ poses a juxtaposition to his life of constant transit, one that has taken him from the tribal environment of his youth to the ice-cold Scandinavian north. Symbolised throughout the album through the pounding pulse of African drums, ‘Elengi’ is an album filled with personal lyrics, painting a poignant portrait of an artist in search of his roots, adapting to a Finnish mentality while simultaneously reminiscing about his heritage.